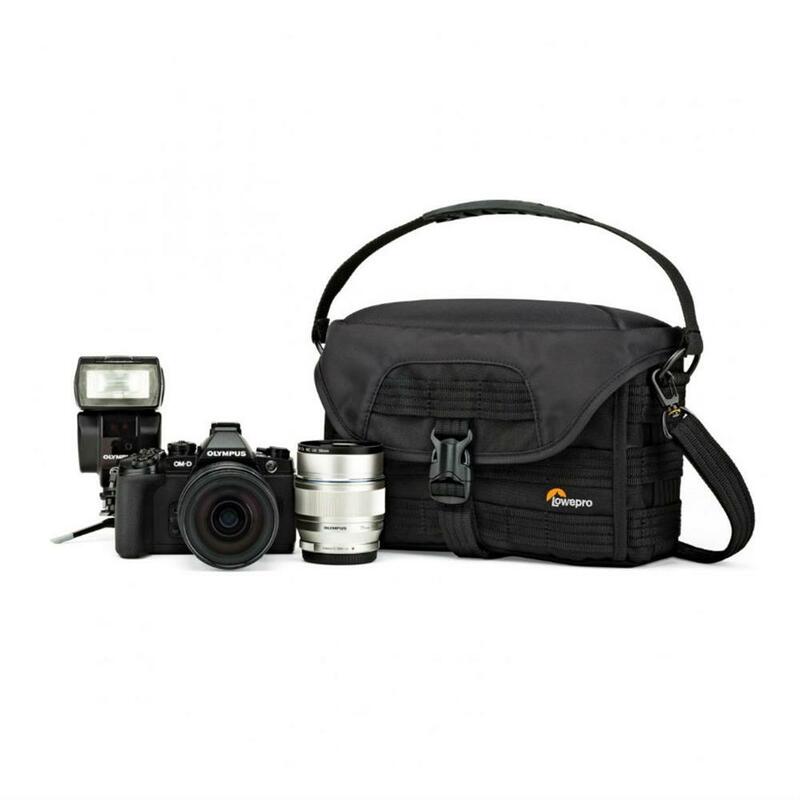 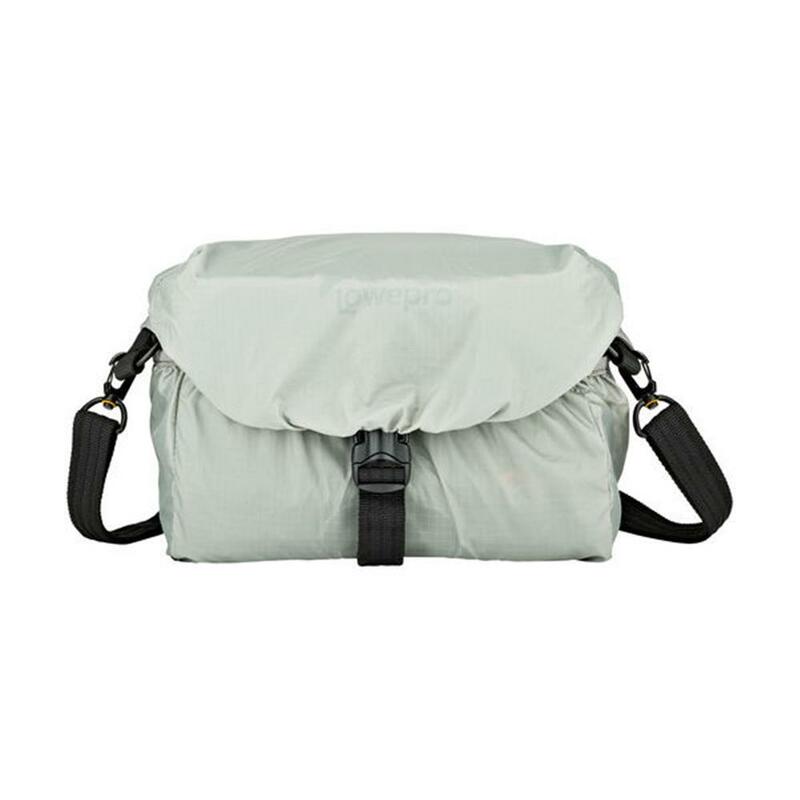 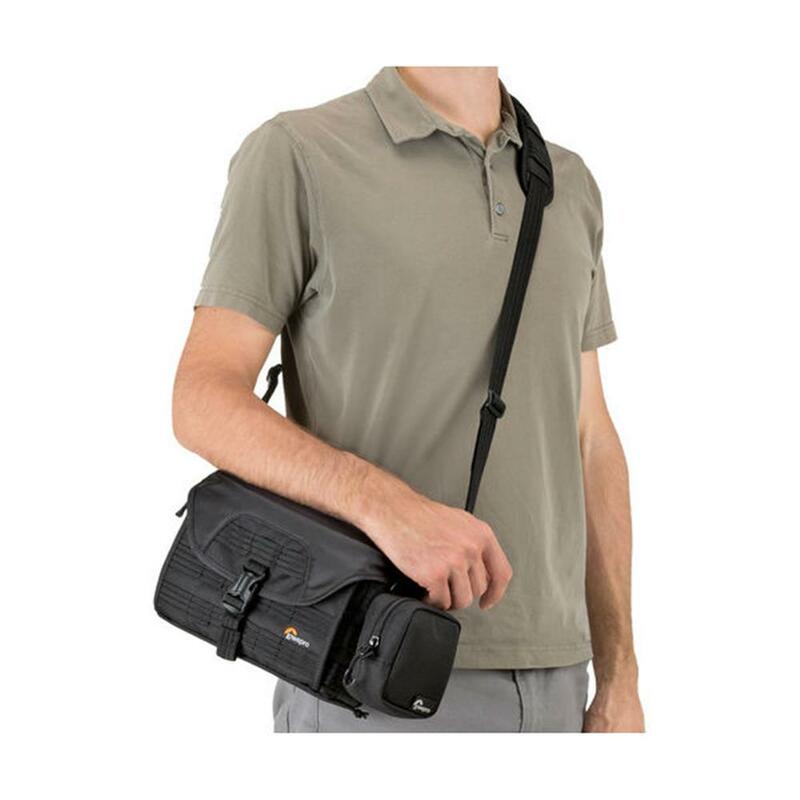 Professional grade compact shoulder bag designed to fit a mirrorless camera (such as Olympus OM-D E-M1 with 12-40mm), 1-2 extra lenses/flashes, smartphone plus small accessories and personal items. 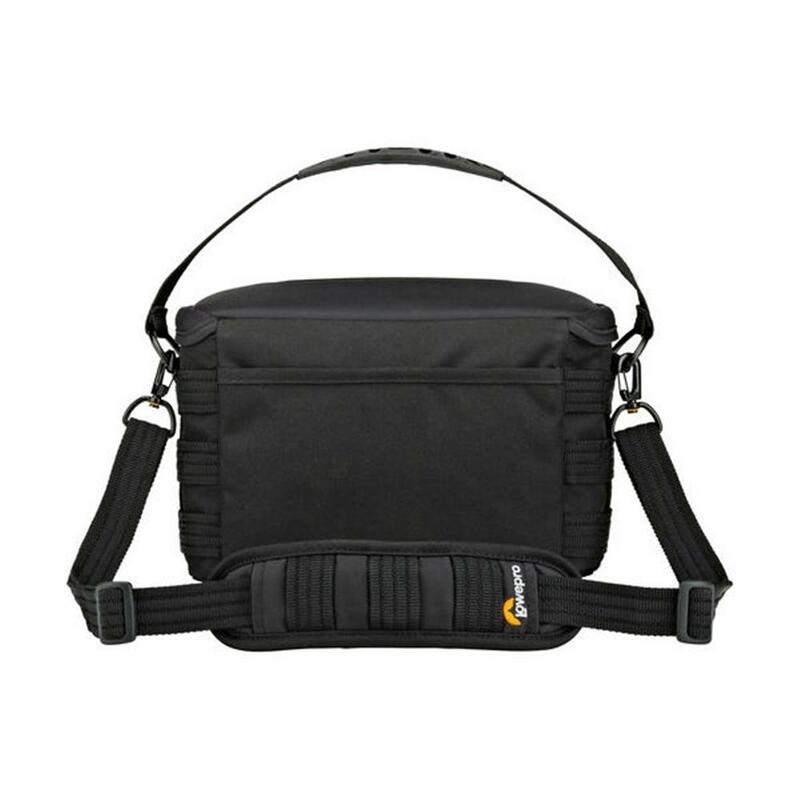 Shoulder bag includes modular accessories (zippered accessory case and two QR buckle attachment straps) to expand your capacity via exterior, MOLLE-style straps with SlipLock. 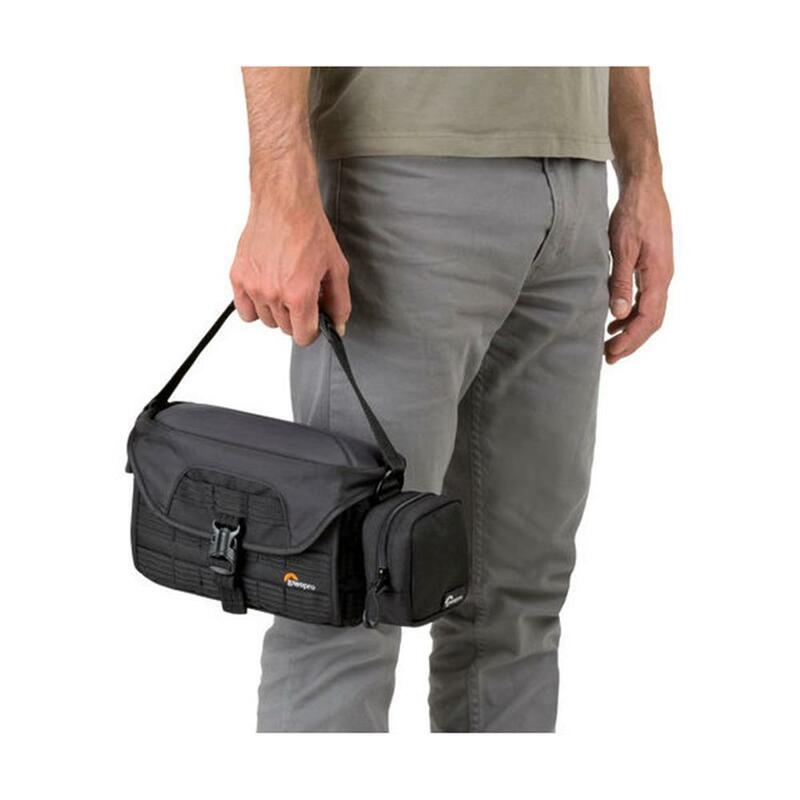 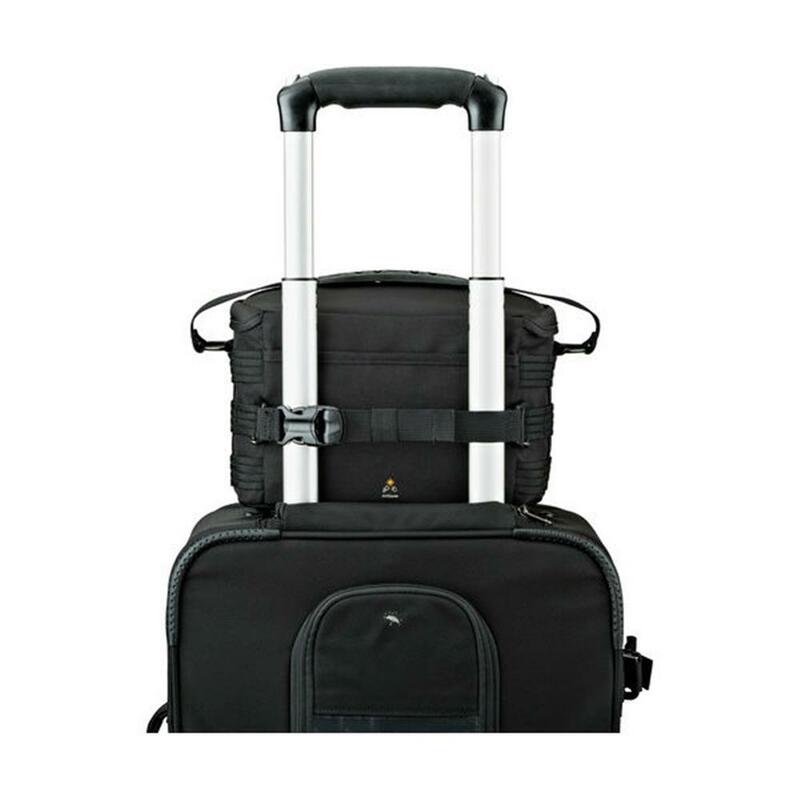 Use straps to add a compact tripod, telescoping trekking poles or a light jacket to bottom of bag; or create a convenient and secure trolley attachment for smooth transport when used with a roller. 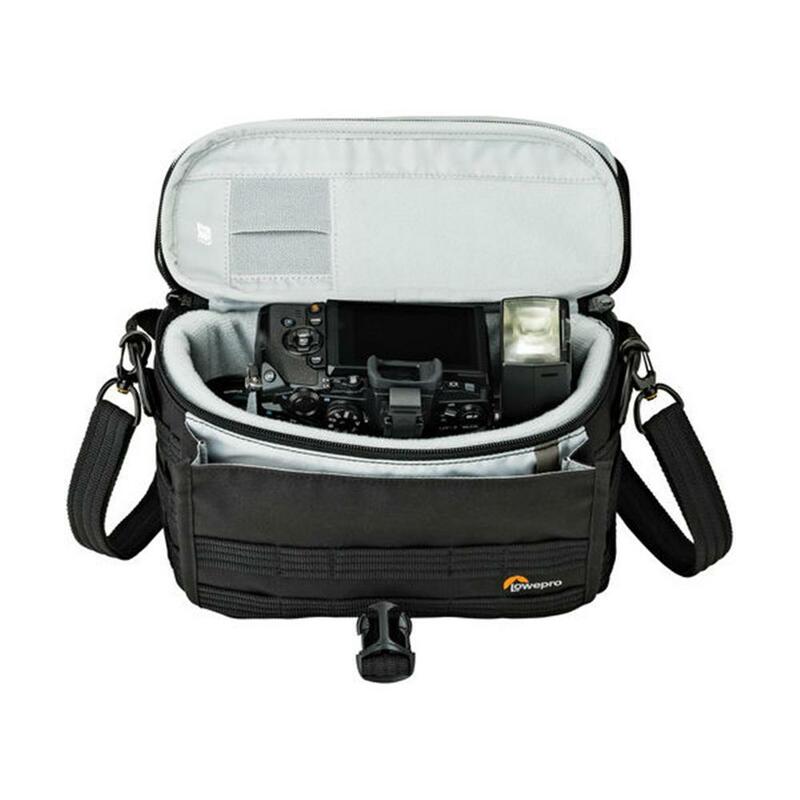 Protect your valuable gear from the elements with the built-in All Weather AW Cover, easily deployed from a zippered compartment at the bottom of the bag. 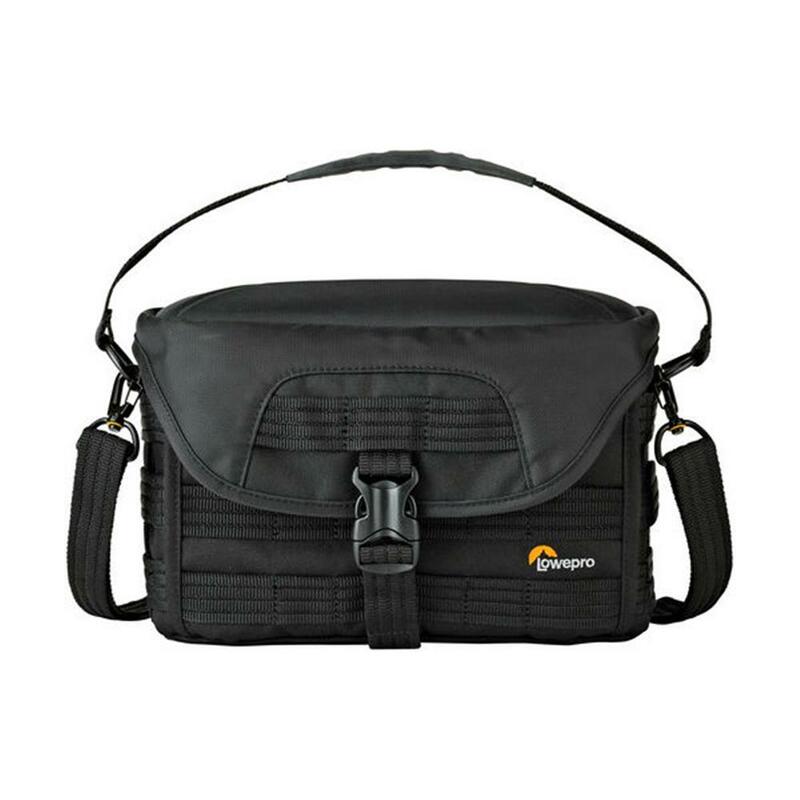 Molded and rugged top offers extreme impact protection and includes a built-in memory card pocket on inside lid. 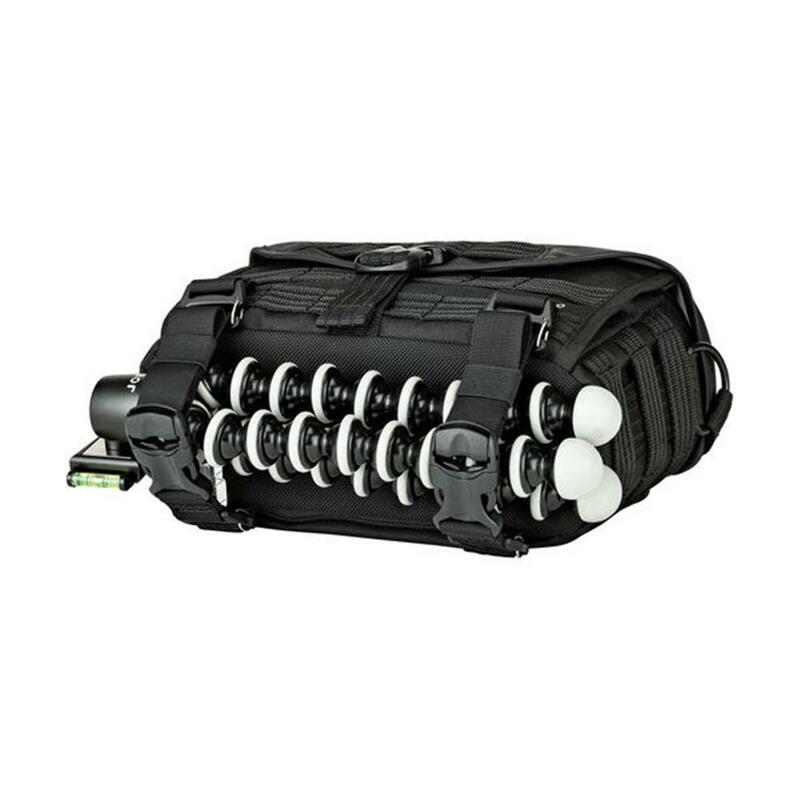 Stash small accessories, your smartphone, filters, spare battery, wallet and keys (attached key fob included) in the well organized front compartment.